Forms for new and existing clients can be accessed by clicking on the title. Click on the title for more information on the following topics. Click on the title for detailed vaccine schedule. Congratulations on your new pet! Thank you for choosing Eau Claire Animal Hospital. Click here to submit your photo and info about your new pet. Click here to view new pets! Your image and text may be edited at our discretion. We will upload your info as soon as possible. Thank you. Click here to submit your pet memorial form and image. Click here to view your pet memorial. Pet Loss & Grief Resources: Click on the title below. Whether it's a routine checkup or emergency surgery, you shouldn't have to worry about how to get the best medical care for the pet you love. That's why we're pleased to offer CareCredit®, North America's leading client payment program. CareCredit® lets you say 'yes' to the best treatment for your pet immediately, and pay for it over time with monthly payments that fit easily into your budget. Legacy Cremations of Chippewa Valley is a locally owned pet cremation company founded in 2014. They are based out of Bloomer, Wisconsin and serve the greater Chippewa Valley and surrounding areas. Legacy Cremations provides professional pet cremation, an extensive line of memorial/remembrance products, and compassionate grief support services following the loss of a beloved pet. In addition, they offer many environmentally friendly "green" product options. 24PetWatch offers a comprehensive range of products and services, including microchipping, pet insurance and the industry's largest and most accurate database of pet and owner information. 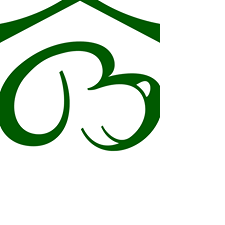 Bob's House for Dogs is a 501(c3) Non-Profit foster care and adoption facility for dogs. Bob's House provides one-on-one specialized care with all the comforts of home. They operate an adoption and education center in Richmond, California. They are a member of the National Federation of Humane Societies. 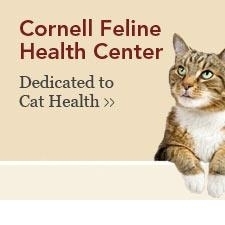 The College of Veterinary Medicine at Cornell University values its leadership position in academic veterinary medicine. Situated within a world-class research university with recognized strengths in the physical and life sciences, the study of veterinary medicine has contributed to the Cornell fabric since the founding of the university. The American Society for the Protection of Cruelty to Animals (ASPCA) was the first humane society to be established in North America and is, today, one of the largest in the world. The organization was founded by Henry Bergh in 1866 on the belief that animals are entitled to kind and respectful treatment at the hands of humans, and must be protected under the law. Headquartered in New York City, the ASPCA maintains a strong local presence, and with programs that extend their anti-cruelty mission across the county, they are recognized as a national animal welfare organization. They are a privately funded 501(c3) not-for-profit corporation, and proud to boast more than 1 million supporters across the country.